In 2003 has been manufactured vessel First 47.7 called Mosca. 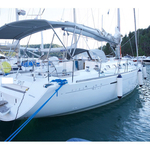 She is available from port Skradin around Sibenik in Croatia. 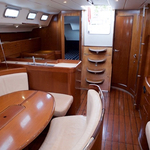 You can board up to 8 pax on the sailing boat Mosca. Arrangment of berths is 8. 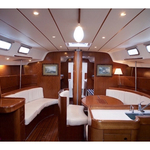 There are 4 cabins placed below boat's deck. Mosca is equipped with 2 toilettes with showers. 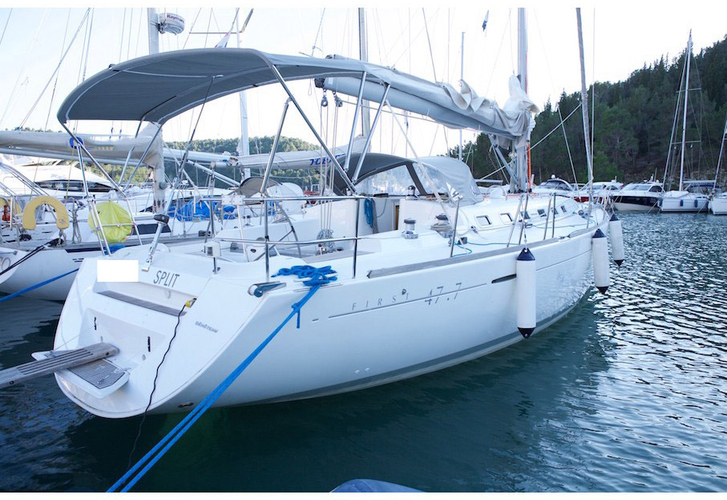 Analyze more offers by going here: Yacht charter Sibenik. 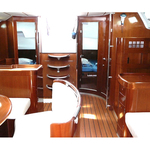 Fuel tank is 235.00 l l. capacious , water tank has up to 420.00 l l. In this yacht there is engine Yanmar 56 hp. 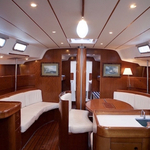 With 14.50 meters of LOA and 4.50 meters of beam Mosca provides enough space for comfortable sailing. 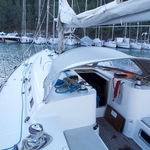 First 47.7 Mosca is equipped with: Autopilot, Gps plotter, Internet Wi-Fi, Bed linen, Radio / cd player, Towels, Bimini top, Anchor electric windlass, Mainsail with lazy jack. . Security caution has value 1500.00 EUR. 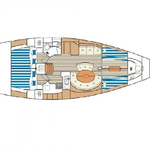 Find different boats right here: Yacht charter Skradin.